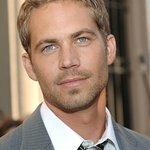 Paul Walker founded REACH OUT Worldwide in 2010, following the devastating earthquake in Haiti, to help those affected by natural disasters. He was killed in a car accident on November 30, 2013. Paul Walker has passed away, but we remember his charity work. Google trends for "Paul Walker"